The holiday season is in full swing, which means retail stores all over the world are packed with shoppers, trying to find the perfect gift for friends and family. If you’re a planner, you might have already thought about what you’re getting your loved ones for the holidays. But, think about this for a second: How many times has holiday shopping stressed you out? It can be hard to find the right present for everyone on your list, not to mention it’s expensive and time-consuming! Then, you run the risk of getting them something they may not even like. Get them something they can’t re-gift this year – experience. Think back to the holidays when you were a child. You might remember a favorite gift from one year, but the one thing that transcends time is the memories and traditions. 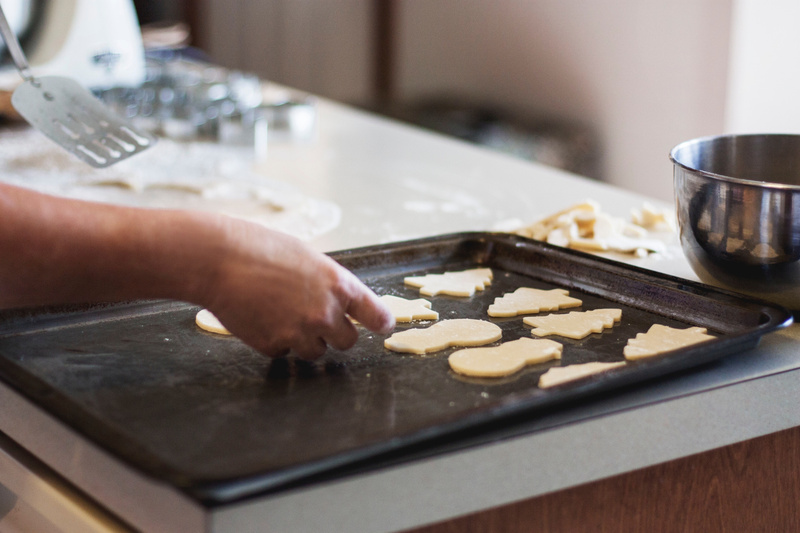 It’s baking your grandma’s sugar cookies every year, or caroling with your brother and sister, or picking out the perfect turkey with your dad. Those are the types of gifts that we treasure forever. This year, give a gift that indulges all the 5 senses instead of something that will collect dust on a shelf and soon be forgotten. Grab a group of friends or your significant other and sign up to take a holiday-themed cooking classes. Learn how to make a special dish together and then recreate it for a holiday meal with your family and friends. Take a weekend trip somewhere! In the spirit of the holidays, find a city with a great light display, a Christmas tree farm, or maybe a replica of the North Pole. Pack the car, grab some sandwiches or snacks and spend the weekend exploring a new place. Whether this means watching a holiday movie every week, spending a weekend decorating your home with your family, or going to see the lights in your town, take some time out of your week to spend time with those special people in your life, making memories that you’ll remember year after year. ‘Tis the season of giving – and not just to your friends and family, but to those who are in need. Sign up to serve food at your local homeless shelter or host a toy or food drive in your neighborhood. Bringing joy to others’ lives will get you in the holiday spirit and inspire others to do the same! When was the last time you went to the theatre? There’s something magical about seeing a live performance, and during the holiday season, there are plenty of amazing options. See if your local theatre is performing “The Nutcracker” ballet or “A Christmas Carol.” It’s a great excuse to get dressed up and spend a night on the town with someone special. For many people, true happiness doesn’t come from things wrapped in pretty paper and bows, but instead comes from experiencing – doing! The holiday season is the perfect time to get out and experience life. So, this year, get together with the people that you love and accumulate memories, not things.